Guest poster and Ngaio local Helena writes: I counted at least 20 empty seats on the 9:04 number 45 bus down the Ngaio gorge this morning. At the Kaiwharawhara traffic lights there were at least 20 cars ahead, in all probability transporting a solitary voyager. “Why weren’t these people using the bus?” I asked myself. I knew the answer. I don’t always take the bus or the train. I’m an advocate of public transport, but that doesn’t mean I’ll always use it. Despite my good intentions, I rely on my car because it often seems like the best way of getting around. Sometimes my day isn’t just centred in town (as a freelancer, generally any café with decent wifi will do) and I’ll have meetings and appointments in another suburb. 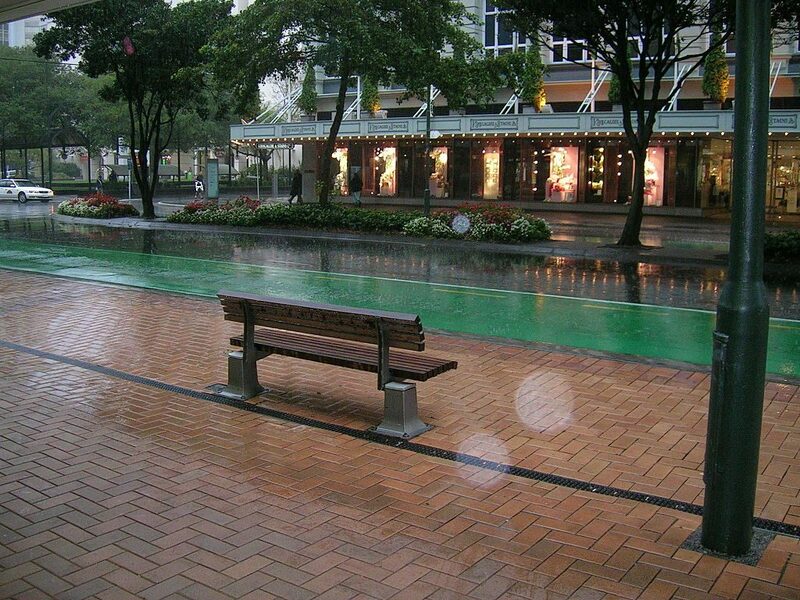 The CBD is walkable, for the most part. The train gets me to one end and then my legs get me to the other. Occasionally, my legs don’t work as well as they should. On one of those days I might get the earlier bus that takes me all the way to Courtney Place (my life seems to revolve around Courtney). Still, I’ll need to walk a bit to get exactly where I need to be. Sometimes I can barely get out of bed at all and the bus has stopped running and I can’t even face the half hour wait for a train. At those times, I might take the car (or stay in bed, this winter has only just begun and it’s already brutal) because the other choices available to me just don’t seem all that appetising. People respond to what’s already out there and what is most appealing. The landscape of what’s available isn’t good enough for my needs so I’m guessing there are a few more frustrated folk out there. While my legs don’t work all the time, they’re pretty decent for the majority of the missions I make. Others aren’t so lucky. A long walk between transport options would be a real problem for my elderly neighbour who relies on a stick. She may have her gold card but what use she can make of it for the activities she wants to partake in I couldn’t tell you. In the main, she drives because her travel choices are limited by her mobility. Buses and trains theoretically welcome wheelchairs but it’s more than a hassle boarding and alighting; I’ve rarely seen anyone with severe mobility issues using public transport. If it’s too hard or daunting, we probably won’t do it. Anyway, Lambton Quay is okay for dodging the drops, but you have to share that limited cover with others trying huddle away from the more exposed areas. I can’t be the only one who finds facing the weather after getting off the train its own particular pain – I’ve seen the wild-eyed, crazy haired folk with wet bums miserably peel off their outer layers once they’ve reached the office. Who here hasn’t thought of the impact a series of covered walkways from the train station would have on people’s moods (so long as there are two lanes catering to slow walkers/fast walkers) and mental wellbeing in general? On those really rainy days, when you’re travelling from an inner suburb, buses drive right past because they’re already full to bursting, and, if you do manage to get on, it’s an anxiety-inducing experience of shattered personal space. Why can’t there be more buses, more regularly, with more space on them so we can all comfortably use mass transit? On good days, I can muster the energy to walk miles. A five-minute car ride to Khandallah barely seems worth it when I can walk it in half an hour, get some much needed exercise and fresh air, and then feel completely okay with gorging on a jar of peanut butter come the evening. There are buses and trains too, but at such irregular intervals that convenient they are not. Wanting to get slightly off the beaten track to Northland? Not a hope with public transport. 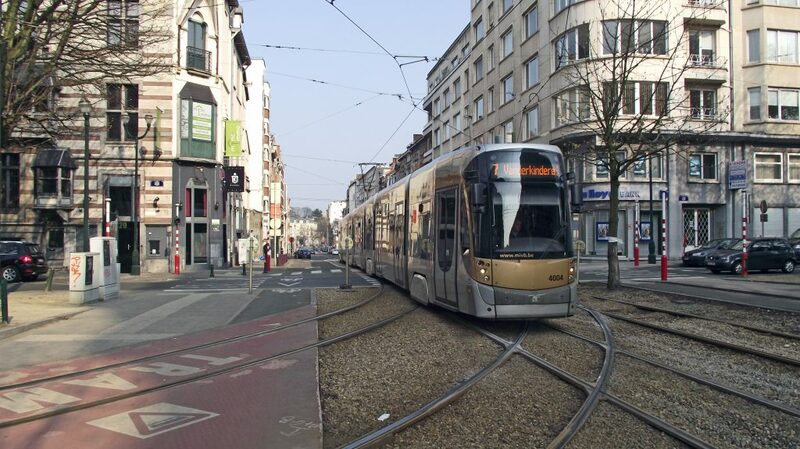 When I visited Brussels it felt like the tram system connected everyone and everything – suburb to suburb was a breeze. Wouldn’t it be wonderful if Wellington were so well connected? Wouldn’t it all be so much more convenient? If there were more options, I know I’d go further without my car. Beautiful Brussels tram – oh for a tram! Time is another factor. The car feels like the best option when I’m off to visit my boyfriend in Brooklyn because public transport would mean a journey of at least an hour of train and bus and waiting compared to 17 minutes on the back roads. 17 minutes when you’re excited to see your beloved is way better. We’re time poor and get easily frustrated by minor additions to our journeys (think of all those times you’ve hurtled through an amber light shouting, “green enough!”). If the bus is late we tut and huff because we “have to be somewhere”. I make a deal with the buses: “If you’re not here in five minutes, I’m giving up and taking the car.” How many people don’t even make it to a bus stop because they don’t trust that it’ll be on time? Why aren’t they on time? Because of all the cars! My partner and I also prefer the car if we’re going to an evening event. The cost of the train for two vs free parking is a no-brainer and we get home much quicker with the car when we’re tired and in need of sleep. Time again. Constant buses/trains/trams/monorails/something would mean we might consider leaving the car at home. Cars aren’t a bad choice at present, in terms of convenience. If we changed the landscape of transport options, would people choose differently? I won’t judge those people using cars this morning, it was probably the best option they had. And perhaps, just perhaps, if they had a better option they might have taken that one. I know I would. Do you have choices in how you get around, day to day? Real choices, ones you’d happily take? If not, why not? 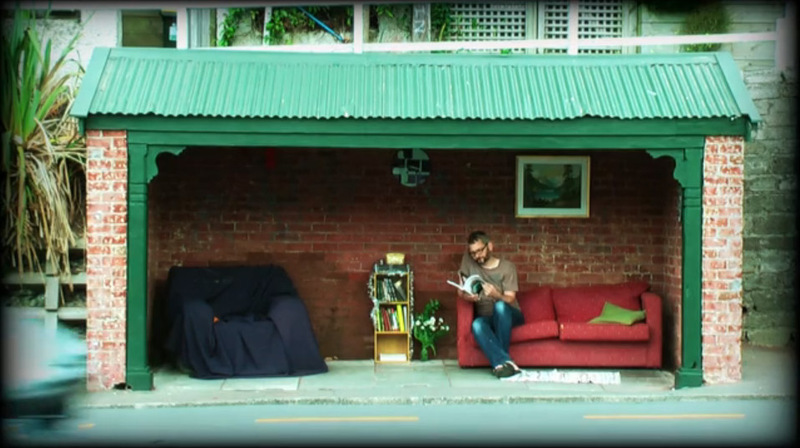 The head of Snapper recently wrote that he reckons Wellington deserves more travel options. We agree – and smart ticketing is one part of the solution. It’s coming, like Christmas..